The UAP-IW is capable of speeds of up to 150Mbps with a range of up to 25m (82ft). 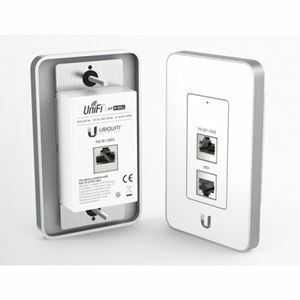 The UniFi In-Wall Wi-Fi AP works with the UniFi Switch (24 and 48 port versions available). An integrated PoE passthrough port conveniently connects and powers a security camera, VoIP phone, or high-end AP.